Filis Frederick - meherbabatravels jimdo page! Filis is on the far right of the group. 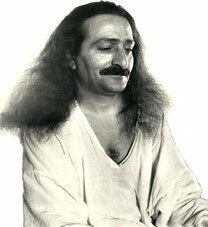 In the early Twenties, Meher Baba predicted His work in the West would be done by women, and in the East by men. And so it has proved, for several decades, both in Europe and America. The stongest personalities and the hardest workers have largely been women, especially those He contacted during His trips to the West in the Thirties. Baba said, before He left India for the first time in 1931, that He had to contact all the Western members of His Circle before the Second World War. 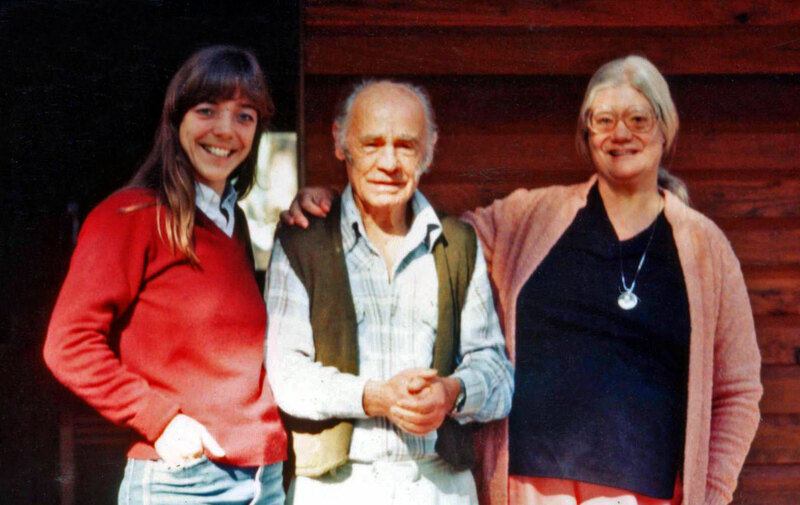 I thought it appropriate that our 30th Anniversary issue of the Awakener be dedicated to these several unique personalities who did so much to acquaint the West with the Avatar of the Age, especially since I had the unique privilege of meeting and working with most of them. 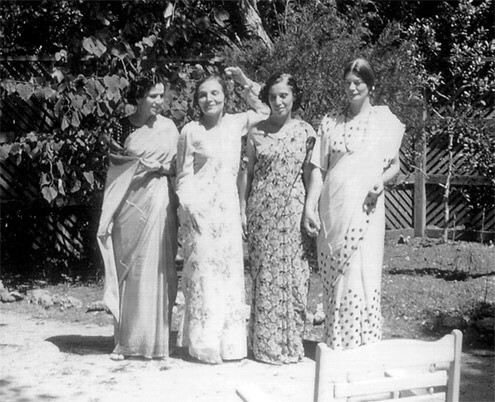 I first met Baba's "trio", Princess Norina Matchabelli, Countess Nadine Tolstoy and Mrs. Kenneth (Elizabeth) Patterson in New York City in 1943. 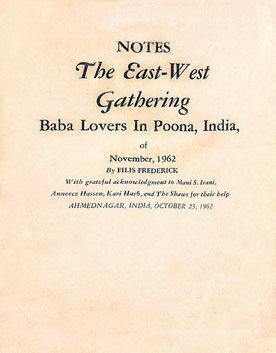 At the end of their stay in India in 1941, Baba had sent them West to work together to "spread His message of love and truth." They lived together in a duplex on East 67th Street. 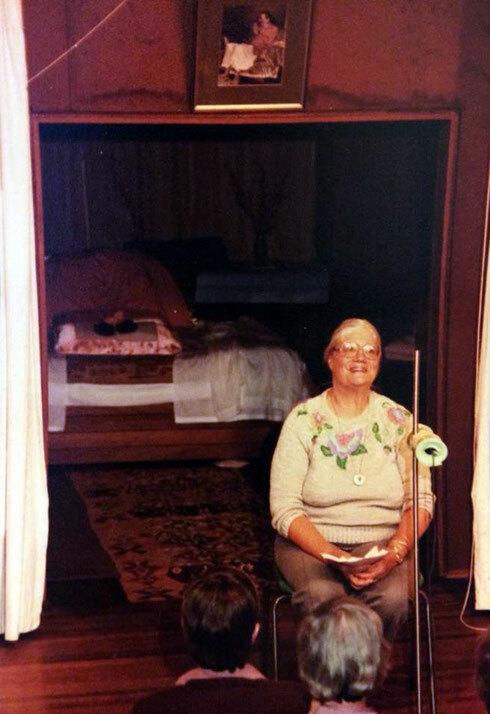 Norina gave the public talks on Baba, Nadine welcomed individual seekers, and Elizabeth quietly paid the bills. They were a unique blend of talent, temperament and nationality. Nadine was Russian, Norina Italian, Elizabeth American. 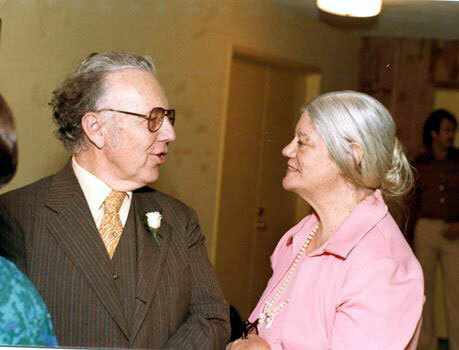 When I met them I felt they were old and dear connections and became so close to them I was invited to live with them, which I did from 1944 to late 1946, when Baba recalled Elizabeth and Norina to India, just before the "New Life." 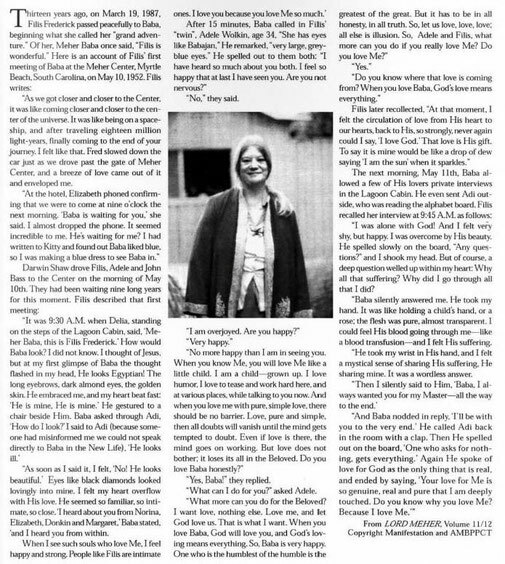 Nadine had already passed away. 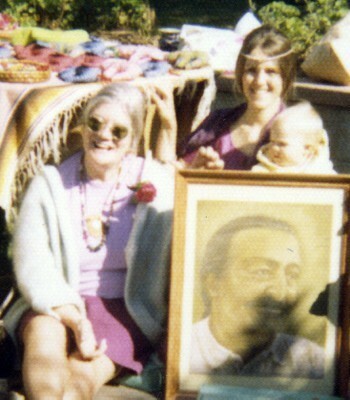 Actually, I had met all three women "inwardly" before I even knew of their existence, or their Master, Meher Baba. I had seen a "vision" of a strikingly beautiful woman in a white turban fastened by a square amethyst, with handsome dark eyes that looked into mine. I had dreamed of a white-haired, blue-eyed lady in a beautiful white and gold room, who said to me "Attendez le Maitre Parfait." 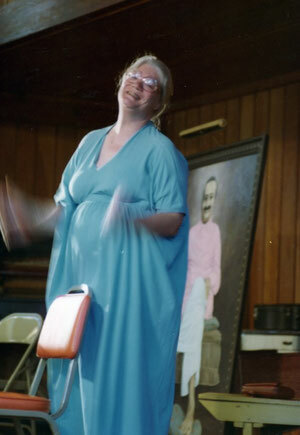 And again I had a waking vision of a woman in a large blue car who beckoned me to join her, — then we seemed to ride off on a spiral road into the sky! 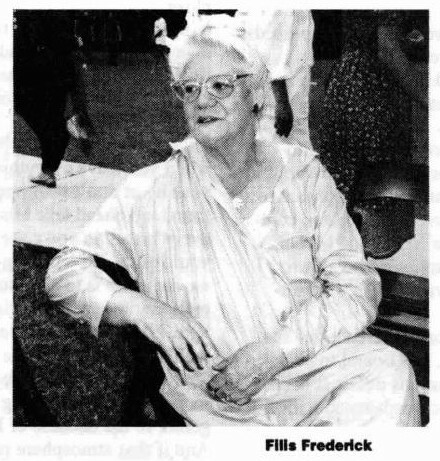 It was only a few weeks later that I very mysteriously got an invitation to hear Princess Matchabelli speak on "Love is the Solution" at a nearby hotel. There I met the other two and recognized them instantly. 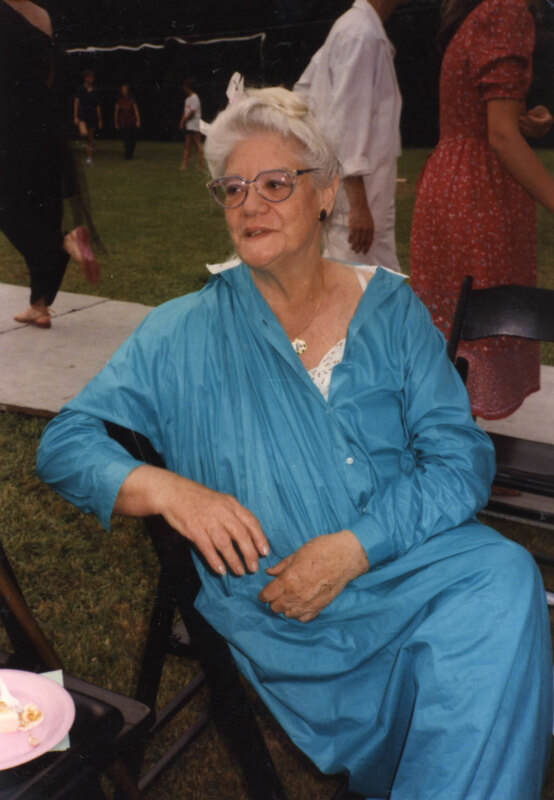 Nadine had the bright blue eyes and white hair, Elizabeth I found out later, had been Baba's chauffeur many times, — for example, on the blue bus tours. And Norina wore her fashion trademark, a white turban (Baba had predicted that one of the Western women in His Circle would wear a white turban). I mention these unusual experiences because it was Baba's way of working with me in particular; for I have always paid attention to my dreams and visions, they had great meaning in my own development. I had studied Jungian and Freudian dream analysis as well as various types of metaphysics. To be drawn to these soul-companions this way was already a touch of the New Age awakening fostered by Baba. I shall always be grateful to these three women, for living and working with them prepared me in a very special way for meeting the Avatar. I cleared away some personal karma and learned some very valuable lessons in how to be with a super-conscious Being like Baba. In the West we grow up with so many misconceptions about the spiritual path. One learns, with the Avatar, Who is so unique in His way of working, to throw most of these out the window. 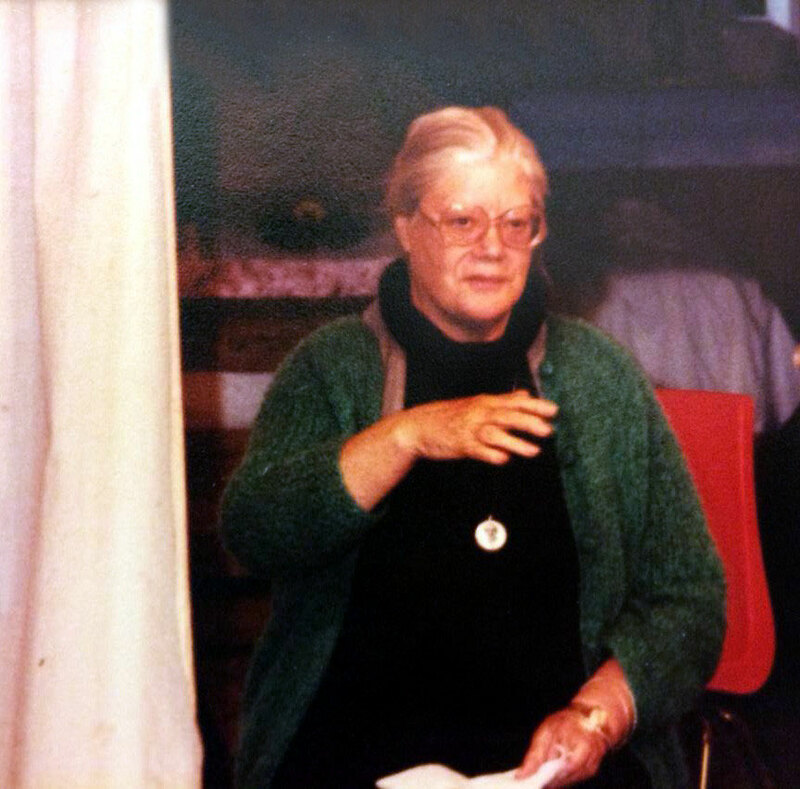 Later on, I met other outstanding women disciples of the Master, some of whom Baba had declared were in His Circle: -- Margaret Craske, Ruano Bogislav, Kim Tolhurst, Jean Adriel, Delia De Leon, Hedi Mertens, Kitty Davy and Rano Gayley. Murshida Rabia Martin, head of the Inyat Khan Sufi order, came to stay with us for many months, having heard about Baba on Norina's lecture tour to the West Coast, as had Mildred Kyle in Seattle. Rabia declared Baba was the" Kutub" of the Age and went back to announce this to her group. Mildred Kyle, who had been President of her Theosophy Lodge for almost 40 years, did the same thing. Later Rabia's successor, Ivy Duce, came to visit us to learn more about Baba. Both Ivy and Mildred brought many precious souls to Baba, as did the other women I mentioned above. Why did Baba choose women for His main work in the West? A good question. A clue may be found in Baba's statement that in the East it is the men who are spiritual, and in the West, it is the women. He also had said Eastern souls were now being incarnated in the West and vice versa. 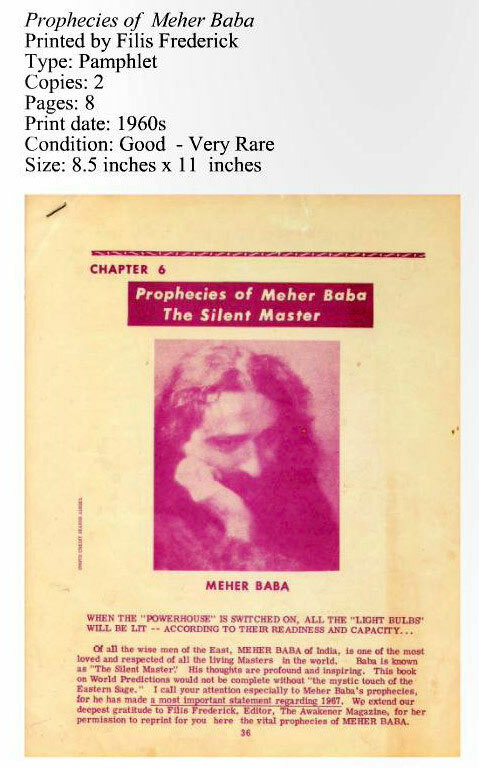 I also feel it is of great significance that Mehera, Baba's female counterpart, shared the suffering of His accident in America in 1952, and that it might symbolize a breakthrough for women everywhere, but especially in the West. At least since the "Age of Enlightenment" — enlightenment by reason, of course, — it has been easier for women in the West to be "religious", as faith leans more on intuition than on reason. The West, for so long, has emphasized the rational or "left brain" activity, supposedly the province of men, that the intuitive or "right brain" functioning has been left to women, often in a derogatory way. So perhaps it was easier in the Thirties, when the skeptical rationalism of Freud, Marx, Wittgenstein, Russell, etc., (all men!) 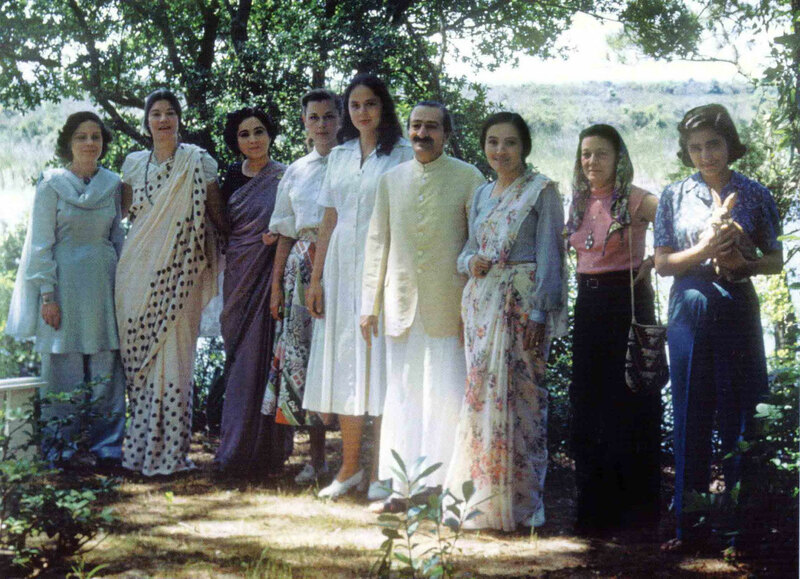 dominated our thinking, for a group of Western women to step outside of conventional religious roles and follow an "Eastern guru" who emphasized the way of the heart. Baba certainly put some of them to the acid test. 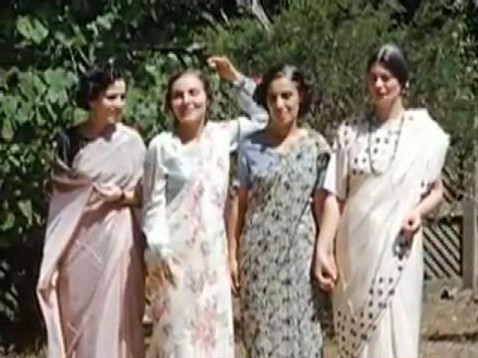 In 1933 He invited a number of women and girls to join Him in India, supposedly "for good," only to send them back home in a few weeks to face a blast of publicity from the yellow journalists. It's time to get acquainted with some of these unusual women. They have been so devoted to Baba, however, that they have played down their lives previous to meeting Him, and "hard" facts are hard to collect. Therefore I emphasize my own reminiscences. THE AWAKENER, Vol. 20, No. 2, pp. 12, 14.